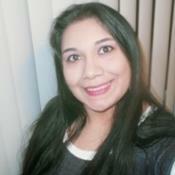 Honest Psychic Clairvoyant w/ many yrs of exp. I provide honest & accurate psychic readings regarding your relationships, love interests and much more! I can help you seek the answers needed. She was wonderful to chat with! I am a natural born Clairvoyant and medium. I have been open to my natural psychic abilities since my early childhood. I am an experienced and trusted Psychic reader. I have the instinctive ability to speak, feel, and vividly see spirits. I have this "sense of knowing" when I tune into you. I will be able to use my sensitivity to energy to intuitively tune into your energy. I will give you all I have to provide not only an accurate reading but an immensely helpful one. I possess the talents to provide you with an Psychic reading including valuable information that directly applies to your life. Do not waste another minute find the answers to the questions you seek today! Contact me Now for more details. 2 email questions in depth information (on sale) Limited Time Only! universalcrystalnovas has been a user of Keen since 2012. Getting Love & Relationships advice from universalcrystalnovas through www.keen.com is safe, secure and confidential.